Mattrick is largely to thank for the bestselling video game console of this long-running generation, the Xbox 360. When he first arrived from Electronic Arts to Microsoft in back in 2007, things weren't well. But Mattrick turned things around with a three-year plan to streamline the business. 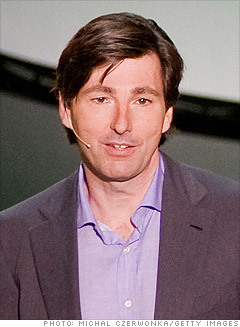 Mattrick also assembled the team and recruited the talent behind Kinect, the company's motion-sensor controller for the Xbox 360 that has since become one of the most popular consumer products in recent history. McDonalds, JetBlue and Nike are among the companies worth following online.